If the rapid adoption of the Internet is any indication to go by, the Internet of Things (IoT) will indeed be the next big thing for customers and businesses alike. The interconnectedness between everything is a concept that captured the imagination of millions, and opened up possibilities like never before. Today as most industries flirt with the idea of IoT, and some actually apply it quite successfully, the opportunity is ripe for the banking industry as well to play in the IoT space. Customers are looking for always-on convenience and this is no surprise. IoT, applied right can actually transform customer experiences and make them more personalized, contextual and relevant. But how does a bank begin to construct its IoT strategy? 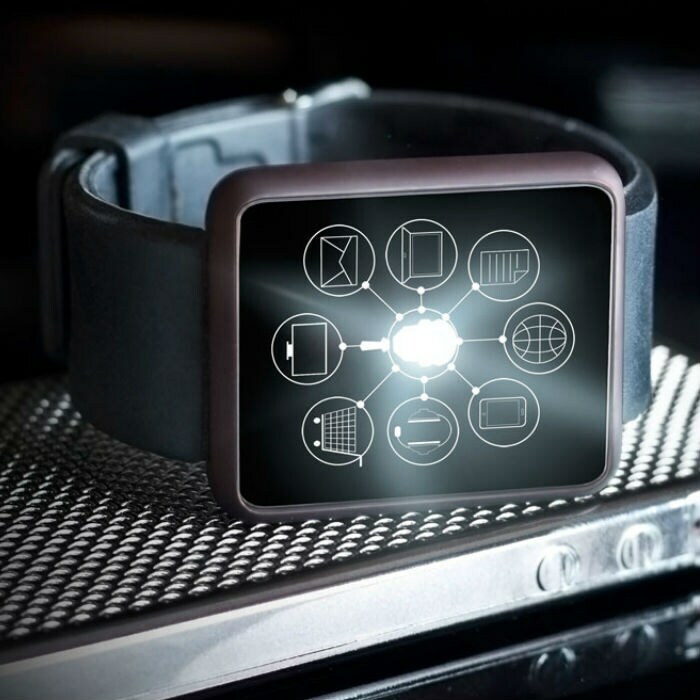 How can it actually craft IoT-based products that benefit customers? Interestingly, there is a formula for it! Finacle’s segmentation model is a strategic approach for banks to identify use cases that will deliver customer value, all the while keeping in mind the bank’s unique context. To identify use cases that will benefit customers, each bank should take into consideration two factors. Figure 1 recommends a careful evaluation of these two critical dimensions – the information value of IoT, and the openness of underlying architecture – to zero-in on best-fit use cases in the context of customer requirements and the banks’ own infrastructure constraints. The applicability of IoT extends beyond measurement of product performance and operating conditions through placement of sensors. IoT can potentially turn any object into a source of information and also facilitate interaction. This has the potential to create a new information value chain in banking by enabling use of sensor data to offer frictionless experience, contextualized services, and automated operations. The entire IoT information value chain can be simplified into 3 stages: access, insights, and action. Access: The flow of information in the value chain starts from data captured by sensors – data from a bank’s leased equipment or a customer’s mobile phone or motors, and data from external sources such as hospitals. The data generated through the above objects has to be accessible by banks, which can then combine it with data from other internal sources to create business value. Insights: Banks need to aggregate and analyze relevant business elements out of the massive amounts of IoT-generated data streams. For instance, the forecast of leasing equipment error rates, and consumers’ driving habits and health. This requires banks to further develop their data-management and analytical capabilities keeping IoT scale data generation rates in mind. Action: Based on data insights, it may be necessary to initiate an action in the real world. This could be initiated by banks or by the digital IoT object itself by using APIs, digital identity and smart contracts. For instance, a smart payment initiated through a car-embedded wallet at a gas station, a digital identity title transfer for collaterals, or automated actions initiated in trade finance scenarios. Internal: The bank has access only to IoT data generated by its internal devices. The most straightforward IoT use cases involve leveraging data from banks’ internal equipment to monitor performance or risks. For instance, ATM related monitoring, or leased equipment monitoring. This approach can enable banks to avoid hurdles associated with integration to external IoT systems and can help develop cost effective solutions that hit the market relatively quickly. Customer: The bank has access to customers’ connected equipment – mobiles, wearables, properties, motors, home appliances, and corporate assets as well. With proper authorization from customers, banks can potentially leverage the power of information from these devices for better insights and contextualized services. Open: The bank has access to the entire IoT ecosystem. An open ecosystem built on industry-wide IoT standards and public APIs can help banks take advantage of the full potential of IoT. This might include integration with cross-industry sources of data for insight or initiation of action. Using the above dimensions of information value and ecosystem openness, we can construct a segmentation model that would help banks identify best-fit use cases. The seven segments listed below can help banks align their IoT strategies and deployments more closely with customer needs in the context of existing capability. Digital – Classical: The bank wants to quickly build practical IoT use cases with an eye on ‘time-to-market’. In this case, it can explore use cases that leverage internal IoT objects and assets that are within its control. Experience Innovation: The bank leverages data from customer owned devices with a view to provide contextual products and a friction free experience. Intelligence of Things: The bank makes use of real-time data from both internal and customer devices to make better decisions, optimize operations and reduce risks. Digital – Shaping: The bank combines the benefits of digital innovation and operations optimization to bring a truly digital experience to both external consumers and internal staff leveraging IoT. Ecosystem Leader: The bank is in a position to influence cross-industry IoT standards and ecosystem protocols. In this case, it is inclined to take the initiative to pilot use cases integrated with external industry data – such as customers’ health data from hospital associations. Tech-savvy: The bank innovates by integrating IoT with emerging technologies, for instance, blockchain and smart contracts for advanced use cases in a sandbox environment. Digital – Visionary: The bank has a vision of its desired end-state and undertakes use cases and pilots with a view to getting there. This may include experimenting with emerging technologies in a simulated IoT ecosystem environment. As explained above, IoT use cases can be classified across different segments based on business objectives and capabilities. Figure 2 is a mapping of IoT use cases to the segmentation model we introduced. It is not designed to be a comprehensive list of IoT use cases, rather a sample reference to possible use case segments. No one-size-fits-all use case exists and the mapping provides a baseline model that can help banks explore IoT use cases that are relevant in their specific context. Given IoT’s potential to impact, transform, and even disrupt multiple lines of business in banking, banks need to approach innovations in this space in a well thought out and structured manner. As with any technology, banks need to approach applications from their operational context. Banks can leverage a confluence of technologies to generate “knowledge and insights” based on raw “data” and to trigger relevant actions. However, the business objective, capabilities, security measurements, and infrastructure constraints are of paramount importance while arriving at the specific use cases. Identifying use cases that deliver maximum value is a key challenge for banks. The 12 use cases that were highlighted in the latest issue of FinacleConnect (Volume 9, Issue 34) can help banks visualize possibilities in this space. Banks are recommended to use the Infosys segmentation model outlined in this paper to review their existing IoT strategy, address gaps in their portfolio of IoT investments, prioritize best-fit use cases, and identify IoT ecosystem partners. Banks must adopt a multi-tier approach i.e. participate in multiple segments with a list of prioritized options and differentiate between use cases with near-term potential and those which are more long-term in nature. Use cases selected must have an end-state vision clearly conceptualized and must be aligned with the overall digital strategy. IoT is a key pillar for tomorrow’s digital bank and must be part of every bank’s digital strategy. As it goes with most nascent technologies, IoT in banking can be a game changer for the early adopters and fast followers. In an era where consumer loyalties are fickle, and new players, armed with this knowledge, are vying for customers’ attention with promises of convenience, it is essential for banks to transform their digital strategy to stay ahead of the curve. IoT is that differentiator, and a cohesive execution approach that is driven by an end-state vision in mind can lead to breakthrough innovations and define future technology leaders. The Finacle segmentation model is a roadmap, and even a guide for banks to begin exploring their threshold for IoT based innovations. While there may be concerns still on security and the risks involved, but the greater risk perhaps would be to do nothing at all. Would you like to discuss your bank’s strategy for IoT with the experts at Finacle?